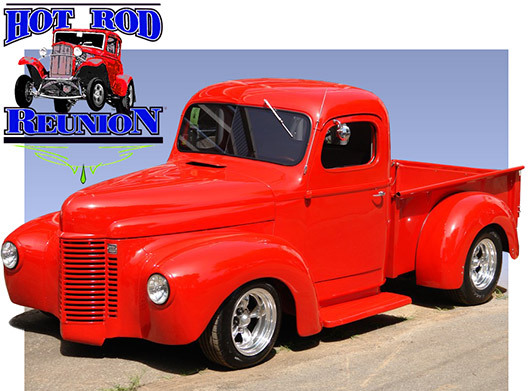 Truck, rod and bike show from Lebanon, TN. 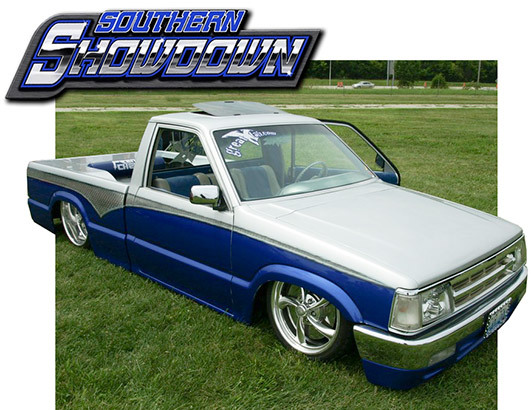 Custom truck and car show in Millington, TN. 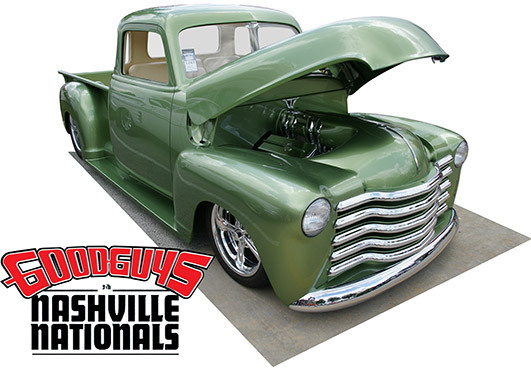 Coverage from August 16-17, 2014 in Shepherdsville, KY.
45th Annual Street Rod Nationals from Louisville, Kentucky. 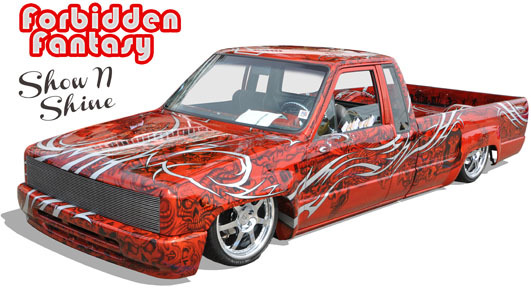 American Pro Street trucks and cars from Du Quoin, IL. 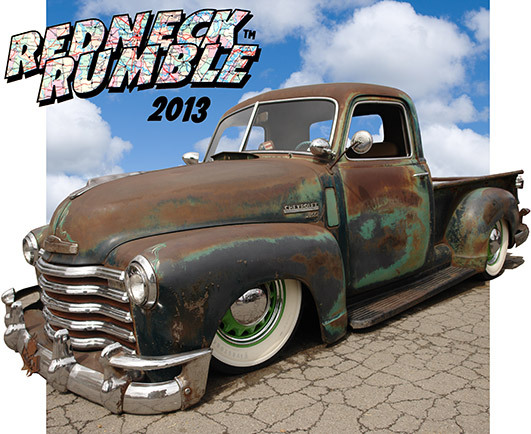 Trucks, Hot Rods and Drag Racing in Bowling Green, KY.
Redneck Rumble 2013 from James Ward AG Center in Lebanon, TN. September 20-21, 2013. 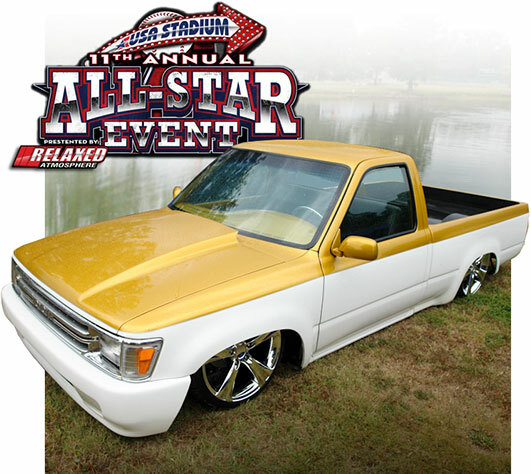 Relaxed Atmosphere All Star Event 2013 from USA Stadium in Millington, TN. August 30 - September 1, 2013. 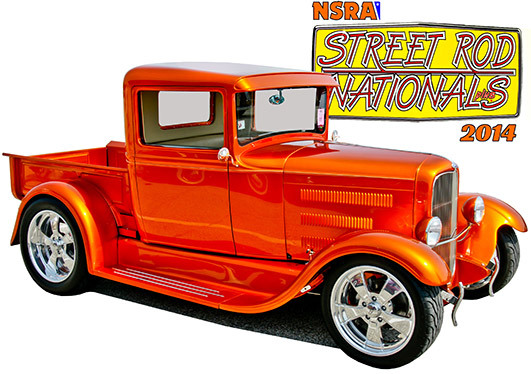 NSRA Street Rod Nationals 2013 from Kentucky State Fairgrounds in Louisville, KY. August 1-4, 2013. 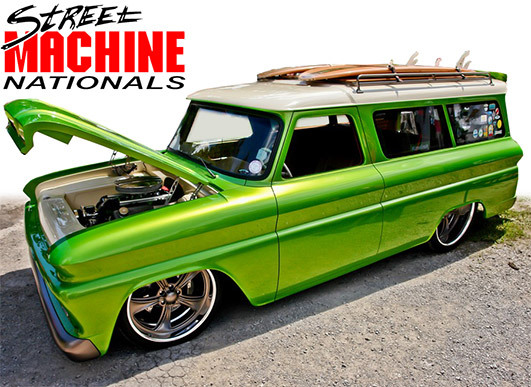 SEMA Show 2012 photos! 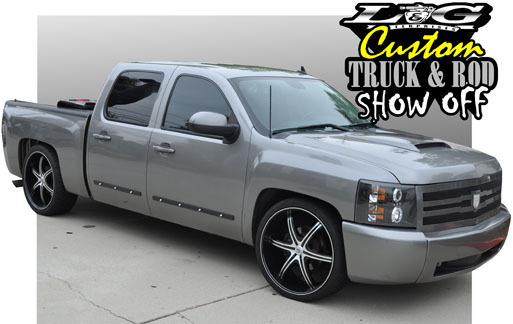 Pictures from the 2012 SEMA Show are added throughout the day all week long during the show. 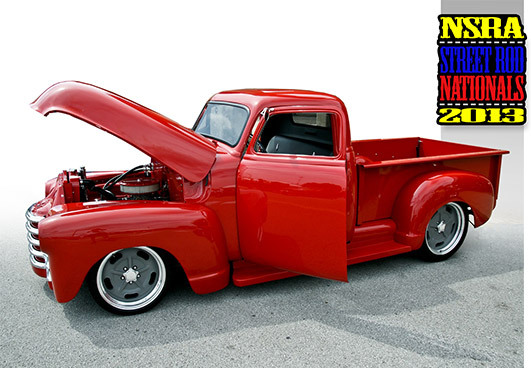 See custom trucks, hot rods, street rods and classic cars. From Las Vegas, NV. 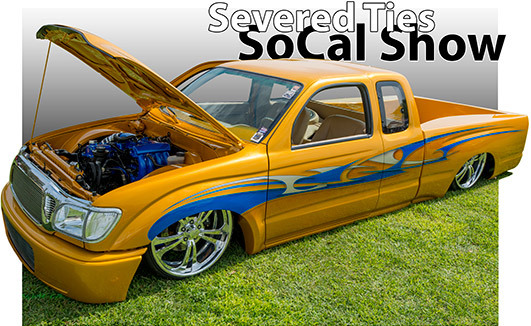 The Venerable Severed Ties hosted a gathering custom trucks from Southern California and beyond at Cucamonga-Guasti Regional Park Ontario, CA. 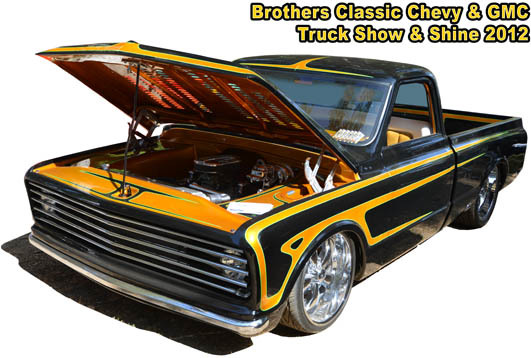 Hundreds of classic Chevrolet and GMC trucks were on hand in Anaheim, CA for the 13th annual Brothers Truck Show. 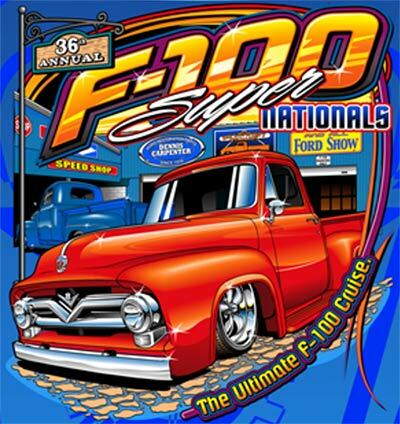 Hundreds of classic Ford trucks gathered in Anaheim, CA for the 2012 F-100 Western Nationals. 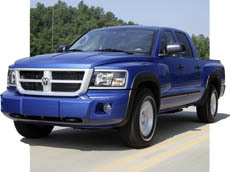 An outstanding array of custom trucks were on display by the Mississippi River in Tunica, Mississippi. 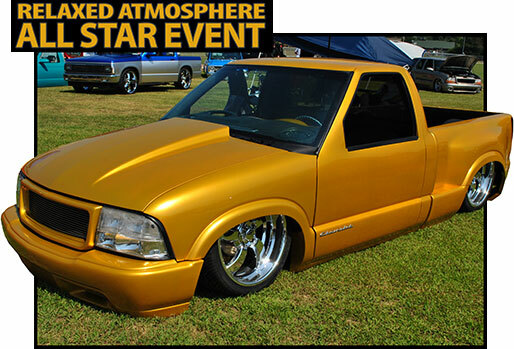 Relaxed Atmosphere hosts a laid back show featuring hundreds of custom trucks at Alpine Electronics in Torrance, CA. 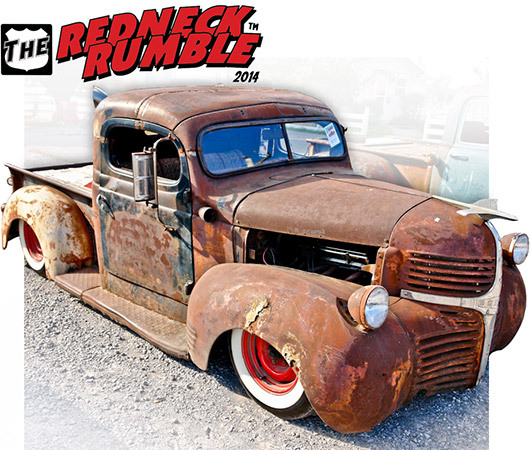 Hundreds of wild custom trucks gather at the two-day event in Perris, CA. 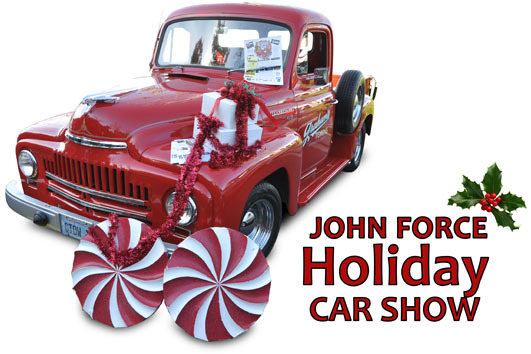 Custom trucks abound with Holiday Spirit at the 14th Annual John Force Holiday Car Show in Yorba Linda, CA. 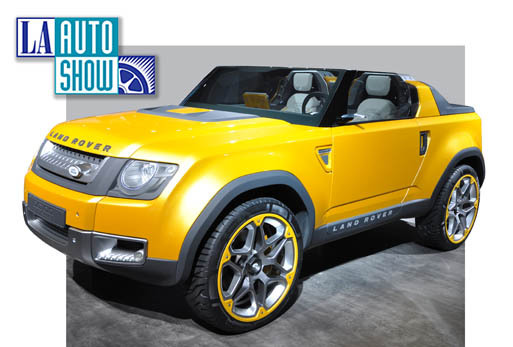 Check out trucks, concept vehicles and custom cars from the 2011 LA Auto Show at the Los Angeles Convention Center. Show is open to the public November 18-27, 2011. 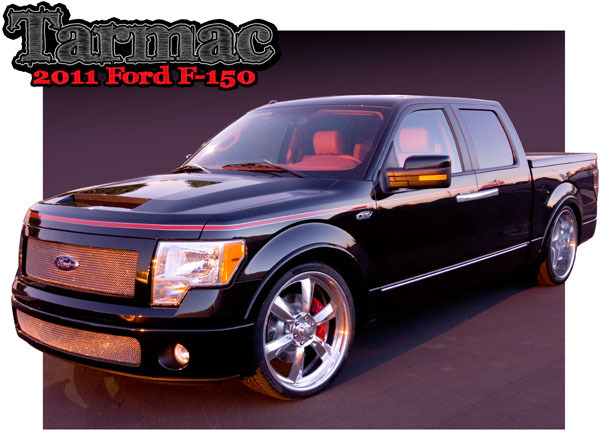 Fresh from its debut at SEMA, take a closer look at the 2011 Ford F150 dubbed Tarmac. 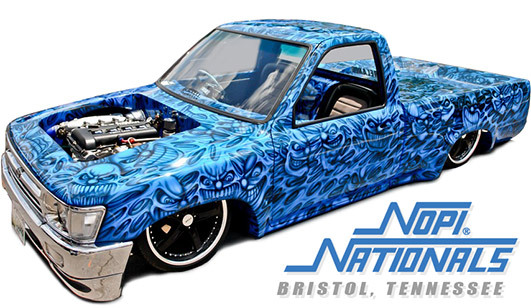 SEMA Show 2011 photos! 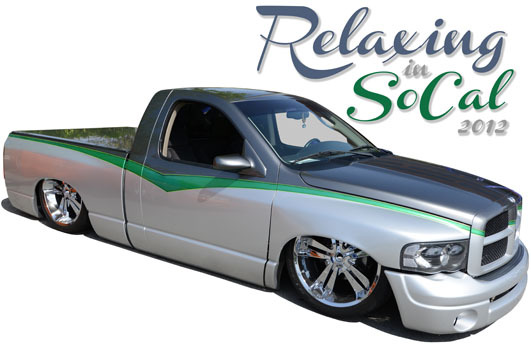 Check out over 2,500 pictures from the 2011 SEMA Show added daily during the show. 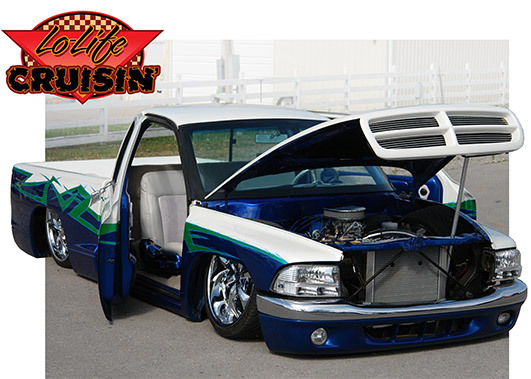 Everything from custom trucks, bikes, hot rods and classics, this is your source for complete SEMA coverage from Las Vegas, NV. 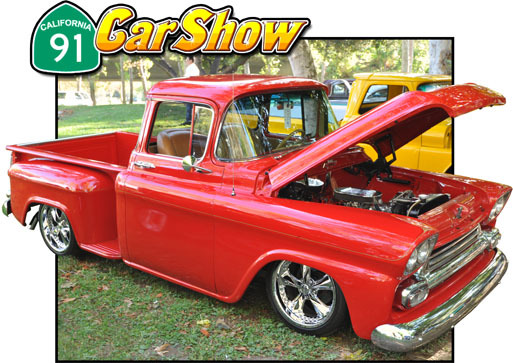 The 91 Car Show hosted a cool collection of pre-1979 trucks, vans, hot rods and classics at Canyon RV Park in Anaheim, CA. 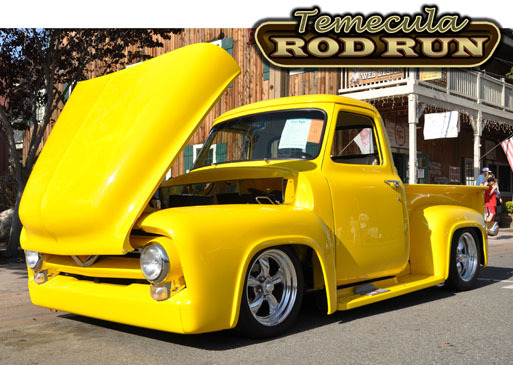 Hundreds of custom vehicles parked along Old Town Front Street in Temecula, CA for the Fall Rod Run. 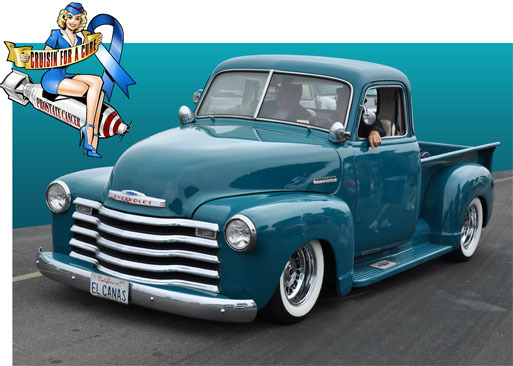 Thousands of vehicles including hundreds of custom and classic trucks gathered at Orange County Fairgrounds in Costa Mesa, CA for Cruisin for a Cure 2011. 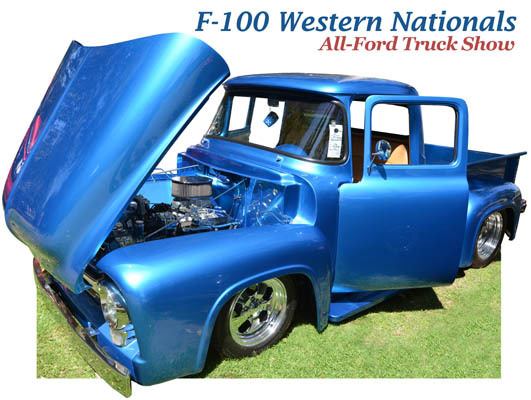 L&G Enterprises hosts their annual Truck and Rod Show Off in San Dimas, CA. 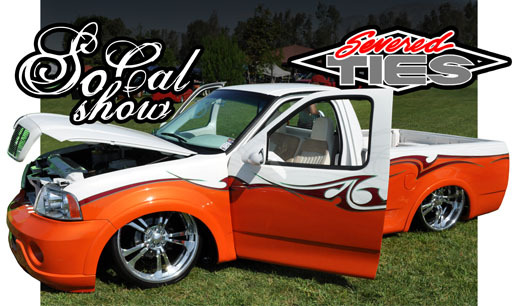 Severed Ties presents a new event: So Cal Show in Ontario, CA. 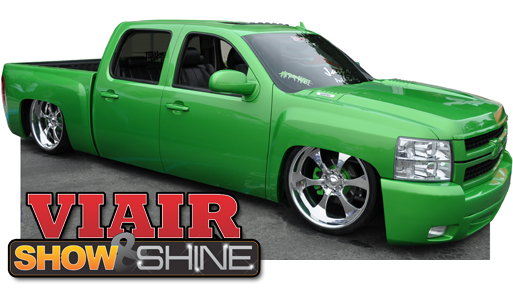 First annual show at Viair Headquarters in Irvine, CA. 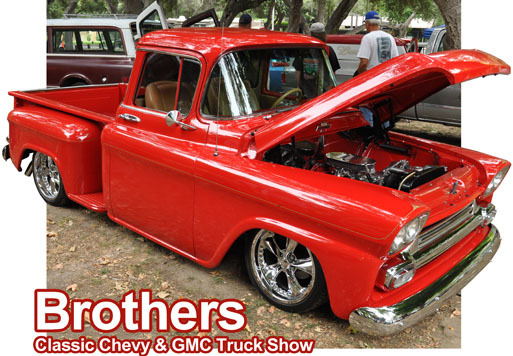 Brothers hosted a stunning display of custom and classic Chevy and GMC trucks at Featherly Park in Anaheim.